Colour, shine, Kendall Jenner and a side of novelty – do you have to be a millennial to enjoy this cosmetics line? 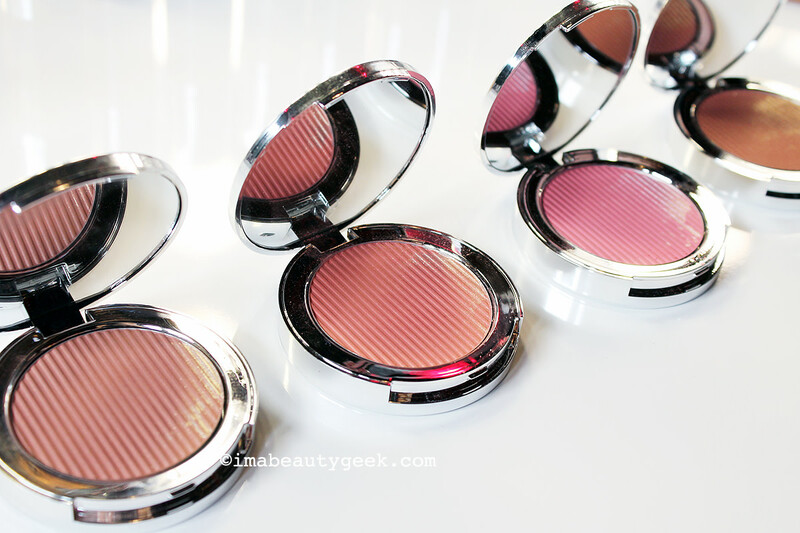 The Estée Edit by Estée Lauder is an energetic capsule collection of luminizers, shimmer, bold shades and novelties, ostensibly aimed at millennials. The Lauder marketing crew will deny it – there&apos;s something for every age, of course. And sure, that&apos;s true, especially if you&apos;re really into makeup. But given the packaging, the novelties and the jaunty videos starring Lauder face Kendall Jenner and Korean beauty influencer Irene Kim – well. Still, there are several items worth investigating whatever the number is on your driver&apos;s license. 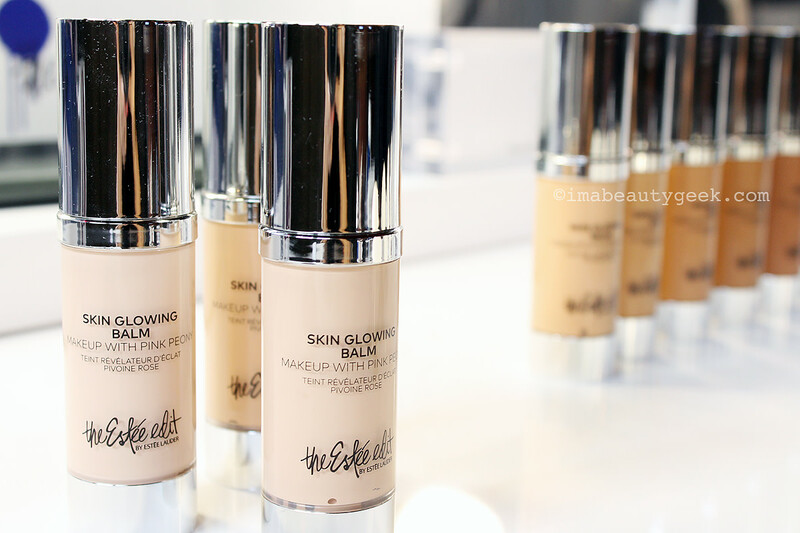 Let&apos;s look at some photos (everything was laid out so nicely at the show-and-tell that I couldn&apos;t help myself), and a quick application video with Blair Patterson, director of global makeup artistry for Estée Lauder. 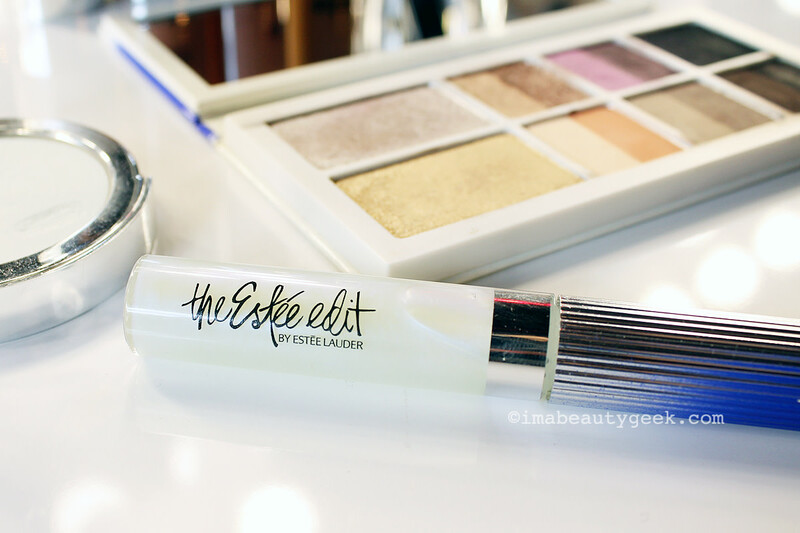 The line had already been on shelves for a bit by the time I saw all this; if you&apos;ve tried any of The Estée Edit collection, please tell us about it! I haven&apos;t tried The Estée Edit Beam Team Hydrate + Glow ($58 CAd at sephora.ca and $50 USd at sephora.com), but I&apos;m very interested in it. 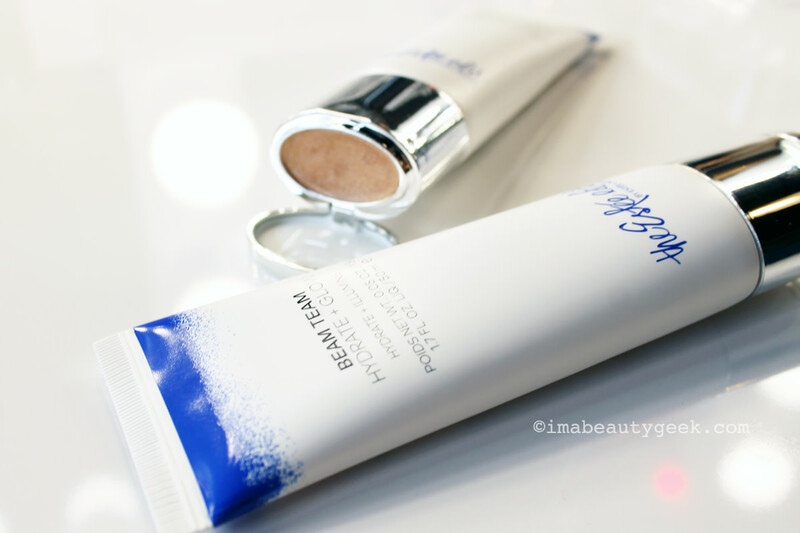 Smart to combine moisturizer (dosed with hyaluronic acid) and luminizer in one tube – great for travel. The Beam Team highlighter looks quite shimmery, that&apos;s true, but it reads more dewy than glittery on skin. 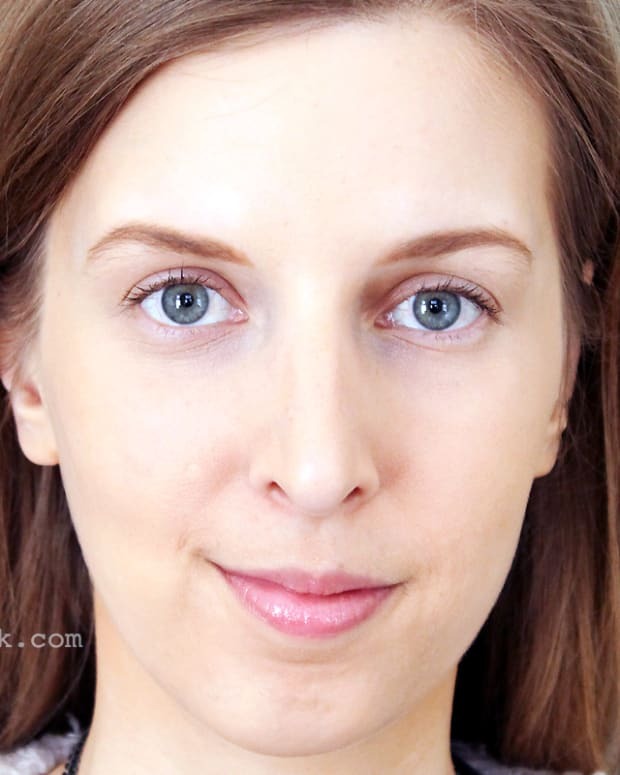 Flattering and appropriate for a range of ages; I suspect how great it looks on you depends on how much moisturizer you need. The Estée Edit Skin Glowing Balm ($42 CAd at sephora.ca and $36 USd at sephora.com) is essentially a glowy tinted moisturizer that comes in 12 shades. The luminosity factor seems quite wearable; Blair applies it to our model Chelsea in our little video down after the photos. The Estée Edit Flash Illuminator ($35 CAd at sephora.ca and $28 USd at sephora.com) reminds me of Revlon&apos;s Skinlights – remember those? 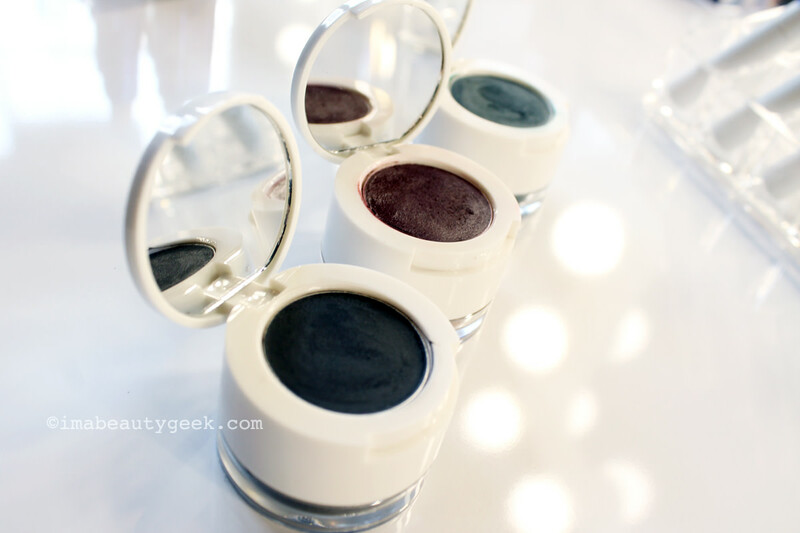 These, however, combine skincare with pearlescent and shimmery pigments; if you have smooth, poreless skin like Irene (or Chelsea; Blair uses it in our video too), you can use them to sculpt your face as per the Sephora video on the product page. 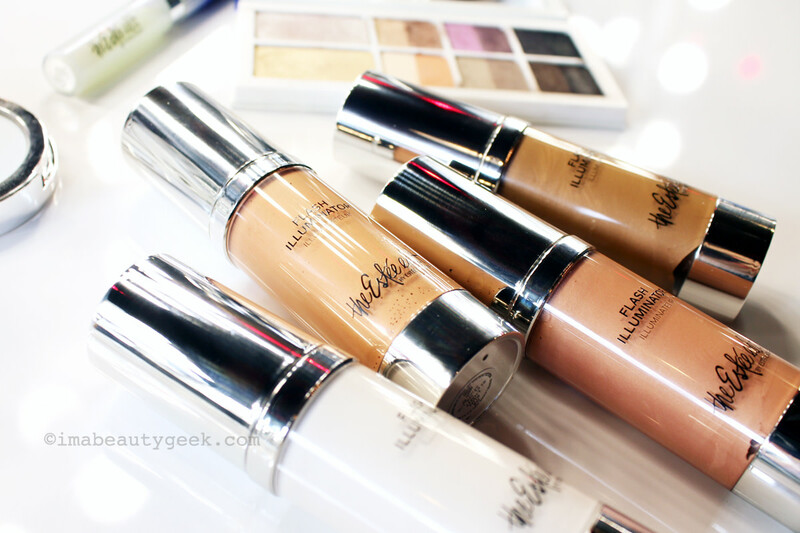 They can be applied over foundation or over powder, whatever you like. 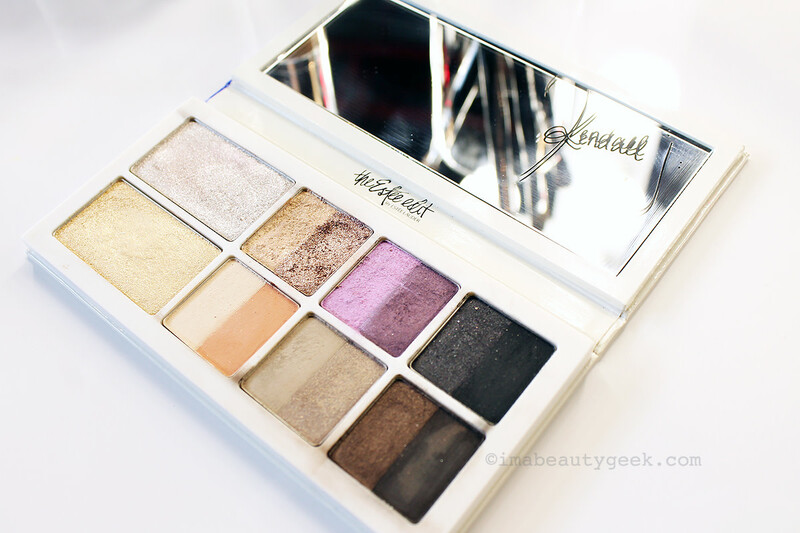 From what I can see, the effect is more gleam than shimmer; has anyone tried it? I&apos;m also intrigued by The Estée Edit Flash Photo Powder ($40 CAd at sephora.ca and $32 USd at sephora.com), which Blair also uses in our video with Chelsea, below. 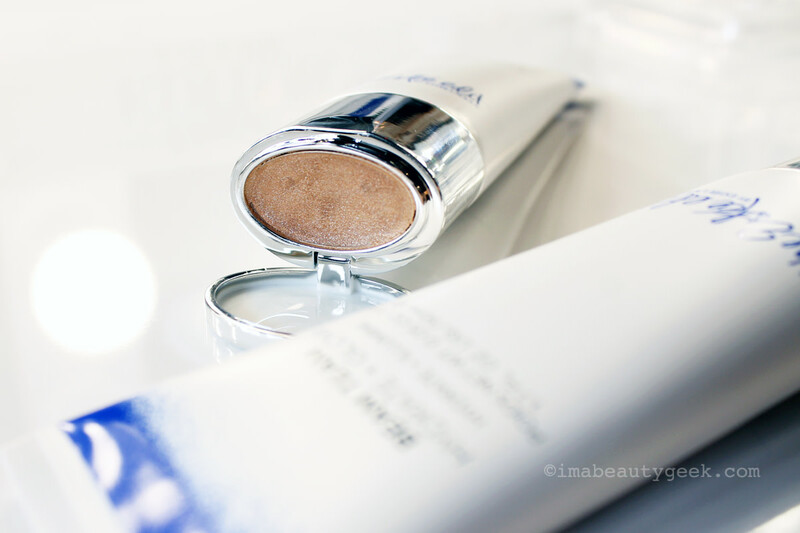 He says it&apos;s a finely milled formula with pearlescent blue tones that instantly brighten the complexion. I&apos;m very interested, especially after seeing it on Chelsea – applied on top of the Skin Glowing Balm and Flash Illuminator, it made her smooth skin luminous, not shiny or sparkly. If you love intense cream shadow and the idea of a complementary pearlized loose pigment to put on top, The Estée Edit Metallishadow Crème + Powder ($29 CAd at sephora.ca and $25 USd at sephora.com) is for you. If you think The Estée Edit The Edit Eyeshadow Palette ($60 CAd at sephora.ca and $48 USd at sephora.com) is all about shimmer, you&apos;re not wrong. A combination of satin, pearlized and sparkle finishes, the compact also includes two "black light shade transformers" that impart subtle sparkle in daylight and more of a glitter effect in black light. I&apos;d have been all over this in University and shortly thereafter. What? I had "clubbing" days, I did! Ish. I love a stick eyeshadow. Yes, yes, I rarely wear eye shadow. 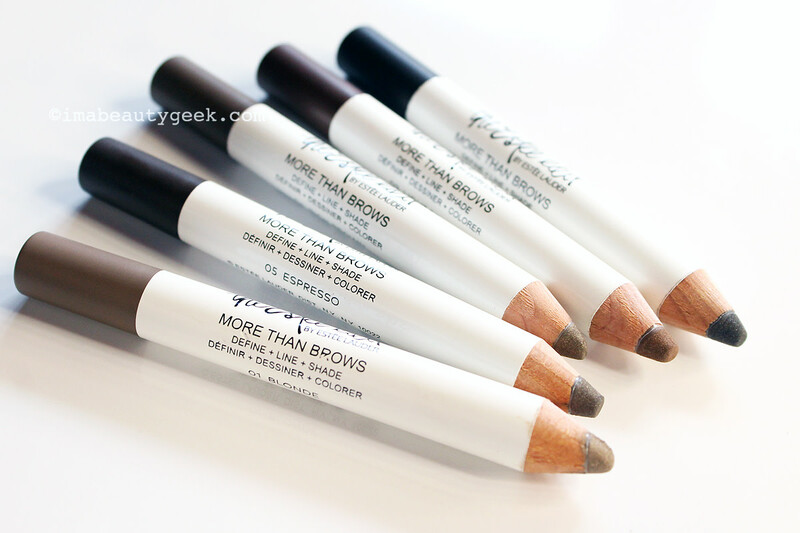 But I love a pencil delivery, the option to line with shadow or smudge it out over the lid. And The Estée Edit The Edgiest Kohl Shadowstick ($26 CAd at sephora.ca and $22 USd at sephora.com) comes in 10 great shades. I kinda want to try them all. Blair uses Black Viper in our little video tutorial, and says they&apos;re safe for waterlining. Interested. 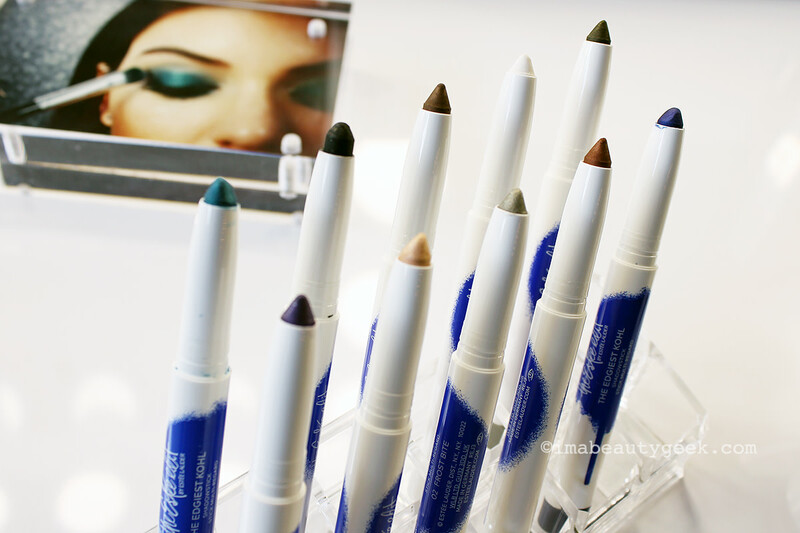 I love winged liner and I love a marker application for its control and precision. 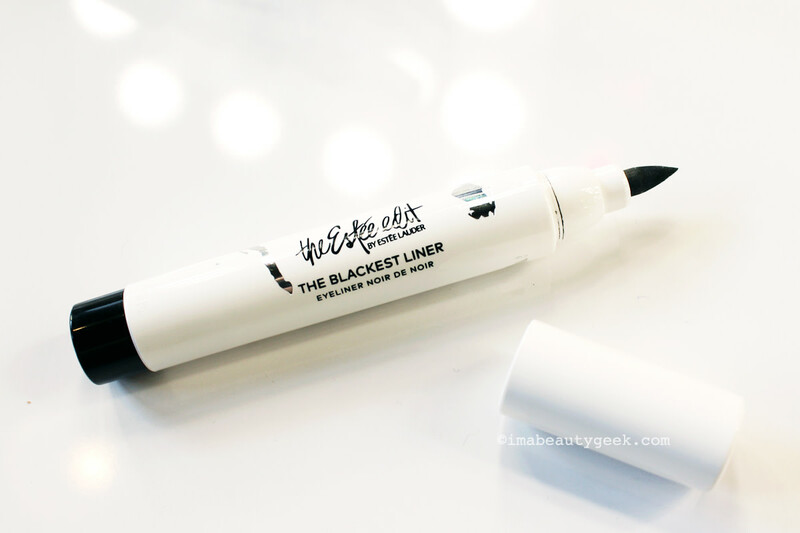 The Estée Edit The Blackest Liner ($25 CAd at sephora.ca and $22 USd at sephora.com) would have a home in my go-kit. Except maybe I&apos;d prefer a slimmer pen; it would be easier to wield. Still, I&apos;d try this. These I want. 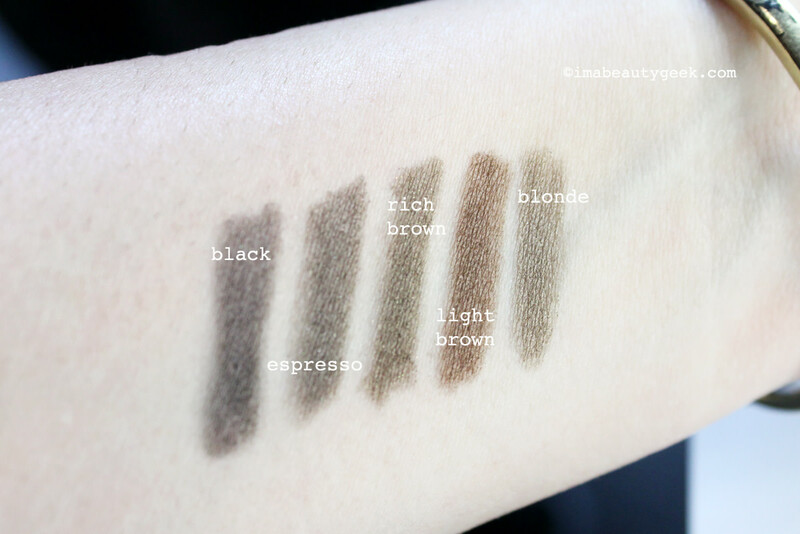 The Estée Edit More Than Brows ($26 CAd at sephora.ca and $22 USd at sephora.com) are basically crayons designed for use as brow definer, eye shadow and eye liner. Their shades make them brow appropriate. 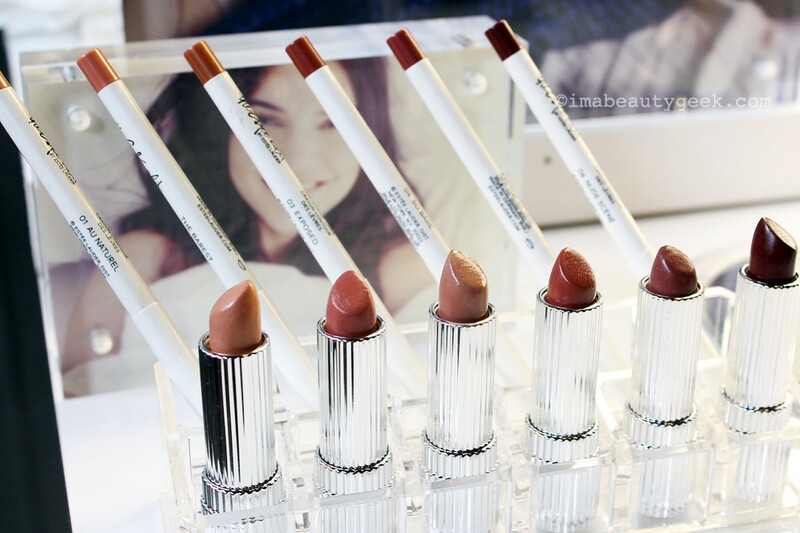 A hybrid lipstick/balm formula, The Estée Edit The Barest Lip Color ($26 CAd at sephora.ca and $22 USd at sephora.com) is all about nudes. To match: The Barest Contour Lip Liners ($24 CAd at sephora.ca and $20 USd at sephora.com). Every time I see a colour range like this now, I have to nod to Kat Von D. Really it&apos;s just because of the green in this collection of Estée Edit Mattified Lipstick ($26 CAd at sephora.ca and $22 USd at sephora.com). 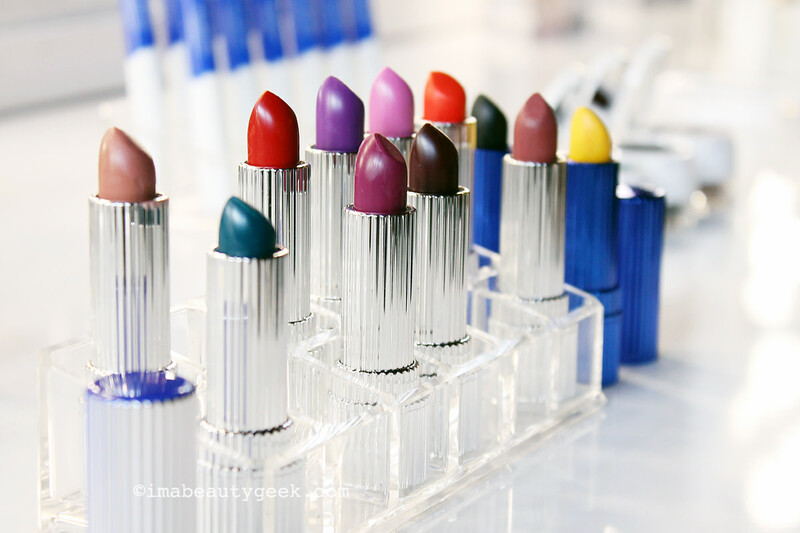 I&apos;m really into the bold berry shades, and that fiery orange. Conditioning oils and waxes like jojoba comprise 20 percent of the formula; I haven&apos;t tried one yet so I can&apos;t tell you how the feel, I&apos;m sorry. Has any of you tried one of these? Oh, and the black and yellow are novelty-esque "transformer" shades: the black deepens any shade; the yellow brightens. Blair uses the yellow on Chelsea&apos;s red lipstick in our video (I promise, it&apos;s coming up!). The Estée Edit Flash Photo Gloss ($26 CAd at sephora.ca and $20 USd at sephora.com) is iridescent, blue-tinged pigment in a sheer gloss that looks really lovely on lips on its own or adds a pretty, cool sheen to anything you wear underneath it. (Anyone remember Cargo&apos;s first lip gloss duo that contained one golden shimmer gloss and one iridescent gloss just like this on the other side?) I think I need this. 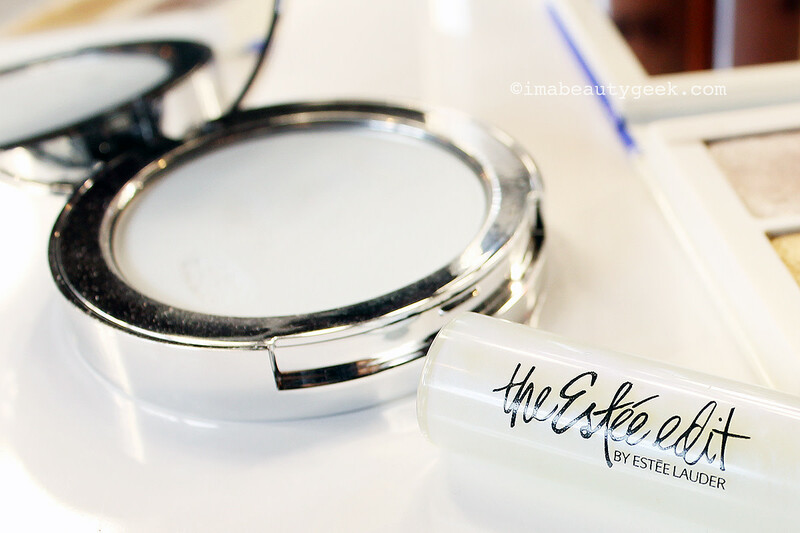 Part of the Estée Edit skincare range is The Estée Edit Pore Vanishing Stick ($34 CAd at sephora.ca and $28 USd at sephora.com), a quick-fix blur formula in solid form with a tinted core to reduce the chance of an ashy finish on deeper skin tones. It&apos;s not the first solid mattifying balm designed for application pre- or post-makeup (Smashbox used to have something like this years ago in a pot), but in its fat little tube form, the Pore Vanishing Stick is certainly convenient and portable. 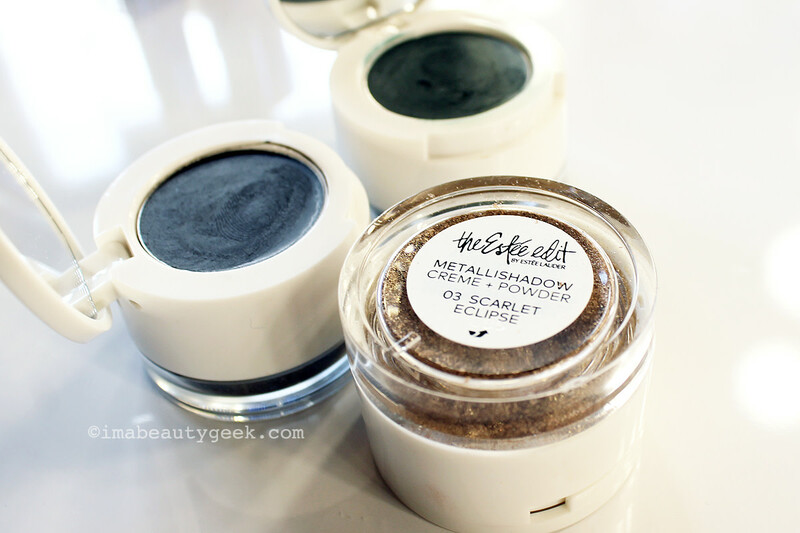 I&apos;m not quite sure how effective that little tinted core is, but if you&apos;ve tried it, please dish! And here&apos;s our little get-to-know-some-Estée-Edit video with Blair Patterson and lovely Chelsea. Rather than start from zero, Blair simply added to the makeup Chelsea was already wearing. So what do you think of all this? 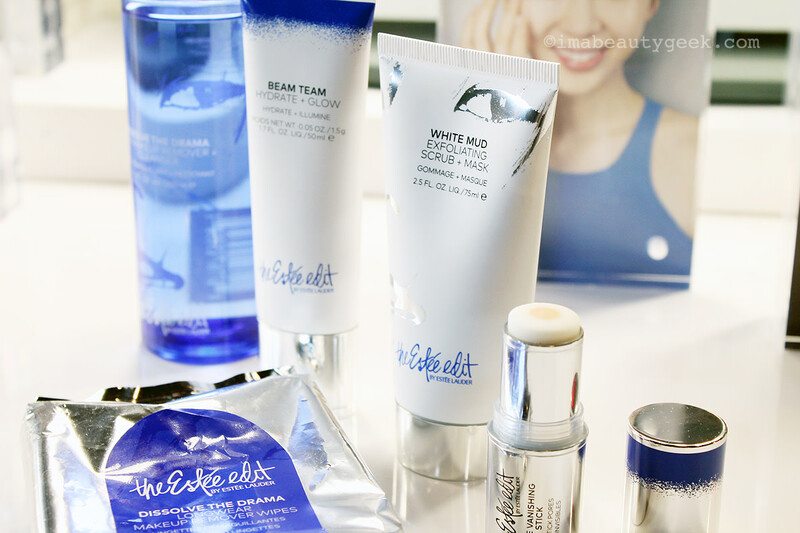 Have you tried anything from The Estée Edit lineup? Are you thinking about it? Does anything have an age-limit for you? Or not?